African-American populations are genetically admixed. Studies performed among unrelated individuals from ethnically admixed populations may be both vulnerable to confounding by population stratification, but offer an opportunity for efficiently mapping complex traits through admixture linkage disequilibrium. By typing 42 ancestry-informative markers and estimating genetic ancestry, we assessed genetic admixture and heterogeneity among African-American participants in the Coronary Artery Risk Development in Young Adults (CARDIA) cohort. 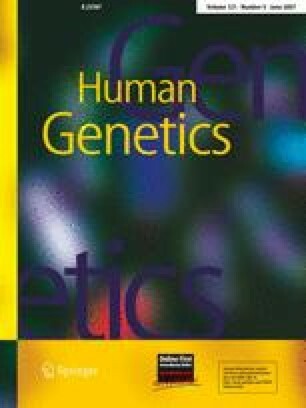 We also assessed associations between individual genetic ancestry and several quantitative and binary traits related to cardiovascular risk. We found evidence of population sub-structure and excess inter-marker linkage disequilibrium, consistent with recent admixture. The estimated group admixture proportions were 78.1% African and 22.9% European, but differed according to geographic region. In multiple regression models, African ancestry was significantly associated with decreased total cholesterol, decreased LDL-cholesterol, and decreased triglycerides, and also with increased risk of insulin resistance. These observed associations between African ancestry and several lipid traits are consistent with the general tendency of individuals of African descent to have healthier lipid profiles compared to European-Americans. There was no association between genetic ancestry and hypertension, BMI, waist circumference, CRP level, or coronary artery calcification. These results demonstrate the potential for confounding of genetic associations with some cardiovascular disease-related traits in large studies involving US African-Americans. This work was supported by investigator-initiated NHLBI grants HL071017; by NHLBI CARDIA contracts N01-HC-95095, N01-HC-48047, N01-HC-48048, N01-HC-48049, N01-HC-48050, N01-HC-45134, and N01-HC-05187, and by NHLBI Program for Genomic Applications grants HL066682 and HL066642 (to D.A.N. ).